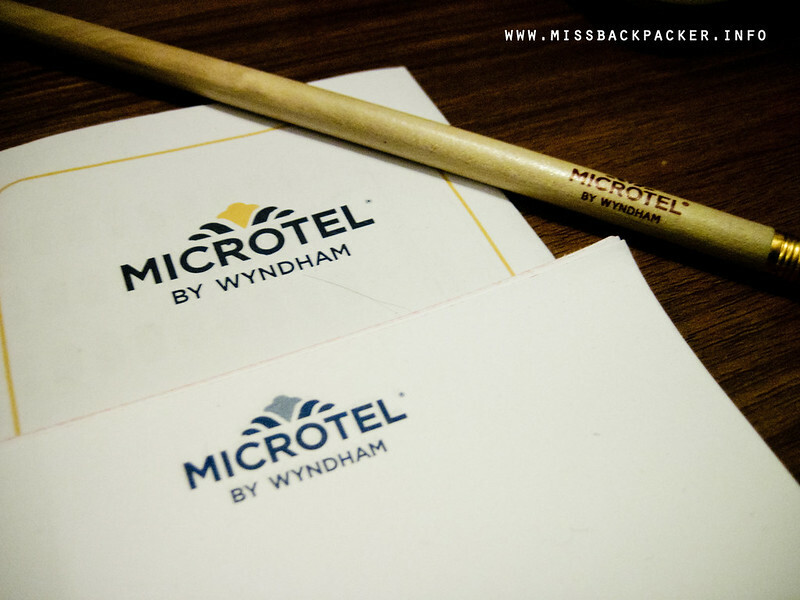 Microtel UP Technohub | Where Have You Been Lately? I was heading toward what I thought was the location of the hotel I was looking for when someone yelled at me to call my attention. “Kuya, sa Microtel po,” I responded. The security guard manning the entrance gate politely asked me to come back and handed me a paper. “Pakita niyo lang po yan kapag may sumita sa inyo.” Apparently, unless you’re an employee there with a proper identification card, one cannot just walk around the area without this piece of paper. It was my first time in UP Technohub in Quezon City and didn’t know this policy. And though I felt like someone’s going to shoot me anytime, ironically, I also felt that I was out of harm’s way as I continued walking toward Microtel. It was a Saturday and I was expected at 8:00 AM, but I arrived earlier than anticipated. Thanks to the smooth flow of the traffic along EDSA. Thinking that most staycationers were too drunk from last night’s heavy partying, I was surprised that the lobby was already busy as early as that moment. From what I was seeing, weddings and graduations were to be held that day. So, not wanting to add to the commotion happening in the lobby, I immediately went to the reception desk. While waiting for my room designation, I saw Mai of Budget Biyahera and Monica of The Boho Travels in their PJs exiting the dining area. It was our first time meeting each other so we had our quick exchange of hellos and then they’re gone. In less than 5 minutes of waiting, I was escorted to my 2-Queen Bed Room. 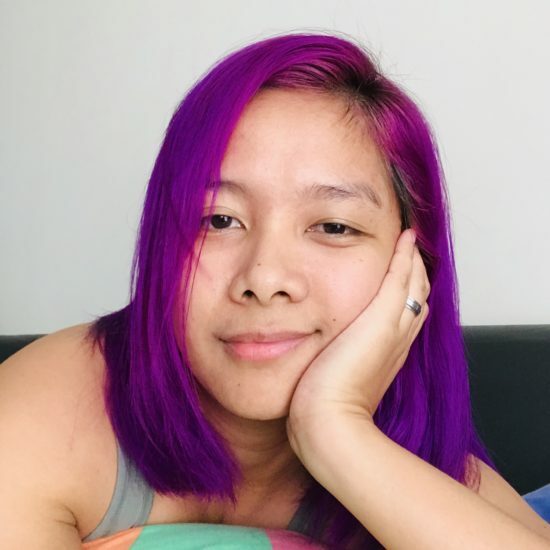 It’d be all hands on deck the following hours and so I was specifically asked by Microtel’s Marketing Communications Director Dandi Galvez to rest as I came straight from my 9-hour night shift. The 2-Queen Bed Room was too big for me. Kara of Travel Up was supposed to be my roommate, but just like me, we had other businesses we need to take care of so we couldn’t spend a night in Microtel. I dropped my bag, laid down, closed my eyes, and attempted so hard to take a little nap. It must’ve been the caffeine from all the coffee I drunk last night that I just couldn’t catch that thing called sleep. Hoping to come up with something productive, I just checked the room and its features. 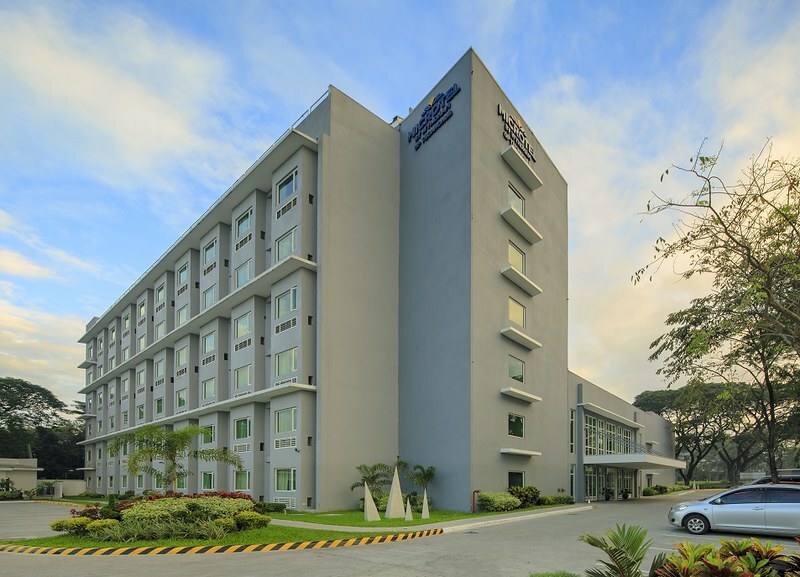 Microtel UP Technohub is the latest hotel property of Microtel by Wyndham in the Philippines. The six-story structure has 120 25 to 30-square meter rooms furnished with wall-mounted flat screen TVs with cable channels, individually-controlled air-conditioning, full-sized bathroom with hot and cold water, and even chiropractor-approved mattresses! Okay. I had to stop for a moment and find out what a chiropractor is. According to our very reliable source Wikipedia, chiropractor has something to do with alternative medicine that focuses on diagnosis and treatment of mechanical disorders of the musculoskeletal system, especially the spine, under the belief that these disorders affect general health via the nervous system. I am an occasional staycationer and since this is the first time I’ve heard of chiropractor, the hotels I’ve stayed at may not have this kind of mattresses. This is how the 2-Queen Bed Room looks like in a 160 degree view. The full-size bath with hot and cold shower is clean and not suffocating. The tiles clearly show that the bathroom is well-maintained. After meticulously checking all that I wanted to see, I again laid down on the bed thinking that what I did was enough for me to fall asleep. No. All of my happy cells were still very active. I just decided to roam around the property to see what other amenities this 3-star hotel has to offer. I packed my cameras on my belt bag and exited my room, which was just a few steps away from the lobby that was still filled with busy guests. It was now a few minutes before 9 AM. 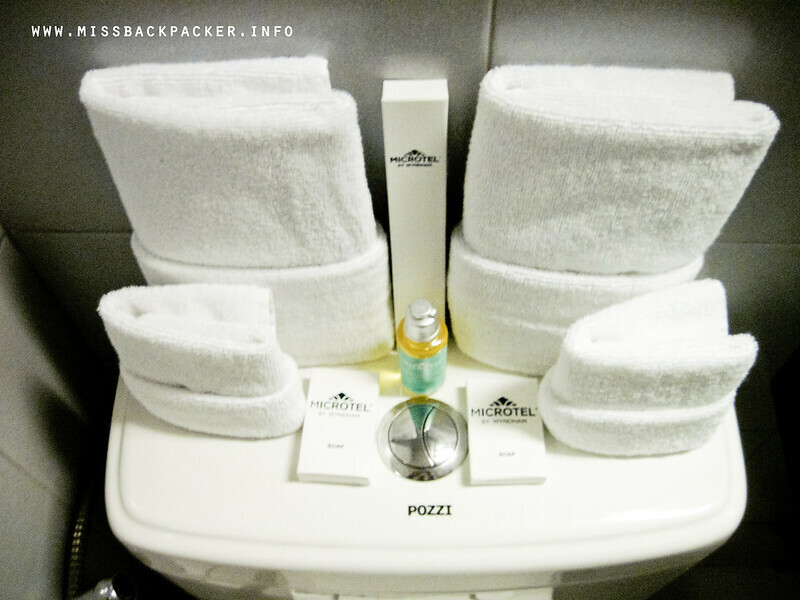 The bathroom is also equipped with complete toiletries and towels of different sizes. To my surprise, I saw Mai and Monica again and this time, they were with Edgar of Pinas Muna and Sir Dandi. Uh-oh. Patay. I told Sir Dandi that I am already resting and that I would just see them around lunch time. Since they already saw me, I approached them, introduced myself, and explained that I couldn’t sleep so I decided to just take photos of the property. Sir Dandi still insisted that I should get some rest and that they’d just meet me after they’re done with the first part of the QC familiarization tour—to visit Quezon Memorial Circle, The Quezon Heritage House, Jorge B. Vargas Museum and Filipiniana Research Center, and La Mesa Ecopark, which are all near Microtel UP Technohub. I lived in QC for a couple of years and didn’t know that there are other places that one can visit aside from Quezon Memorial Circle. Not wanting to miss this opportunity, I said I am fine and would be glad to join the tour. 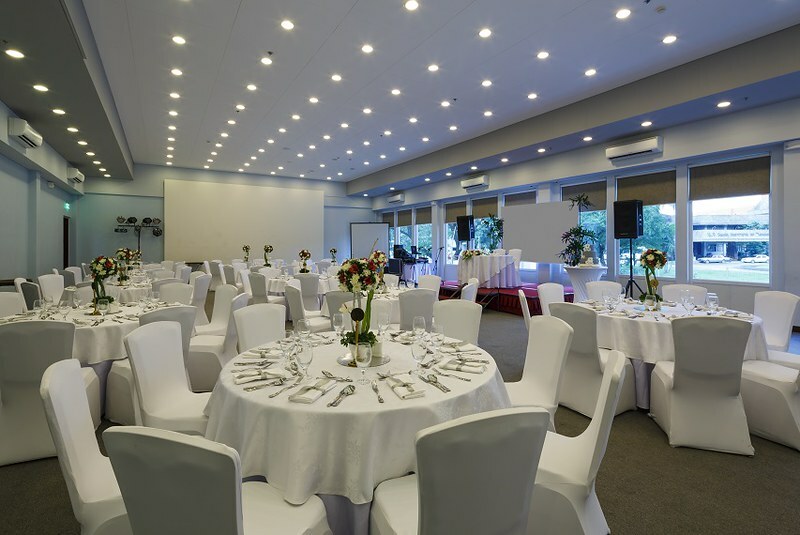 Function room good for 200 people, which is great for corporate meetings and events, wedding receptions, and other social gatherings. During our visit, this function room was occupied by guests holding a graduation ceremony. 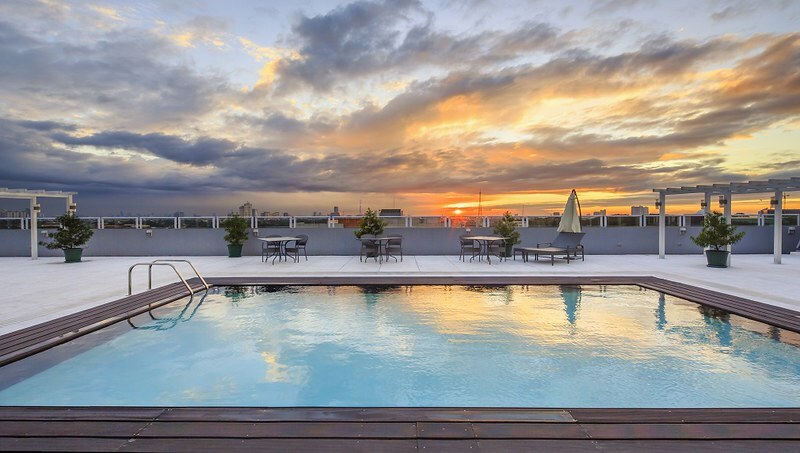 A roof deck pool that overlooks the City’s skyline. Must have been great if I were able to take a dip while watching the sunset. Three meeting rooms that can accommodate 30 persons. One of only three Millie’s All-Day Dining in the country. 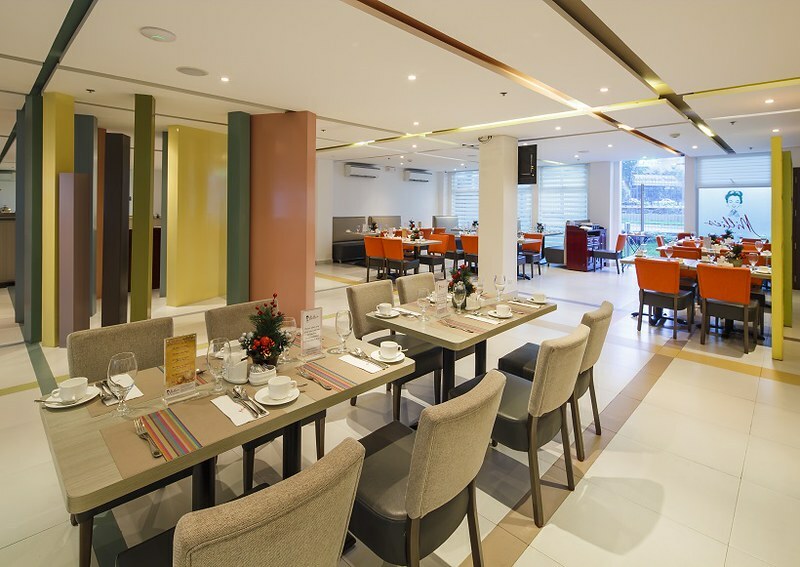 Millie’s All-Day Dining is the in-house restaurant in Microtel UP Technohub. Aside from the fact that we were in a rush, I wasn’t able to take decent photos of the amenities because there were people everywhere (kudos on a really jam-packed weekend, Microtel!). So, for the time being (as I am sure I’ll be back here for a longer stay), let our eyes feast on these beautiful photographs provided by Microtel UP Technohub. Isn’t this view relaxing? This is just one of the reasons why people must spend a day or two in the hotel property. 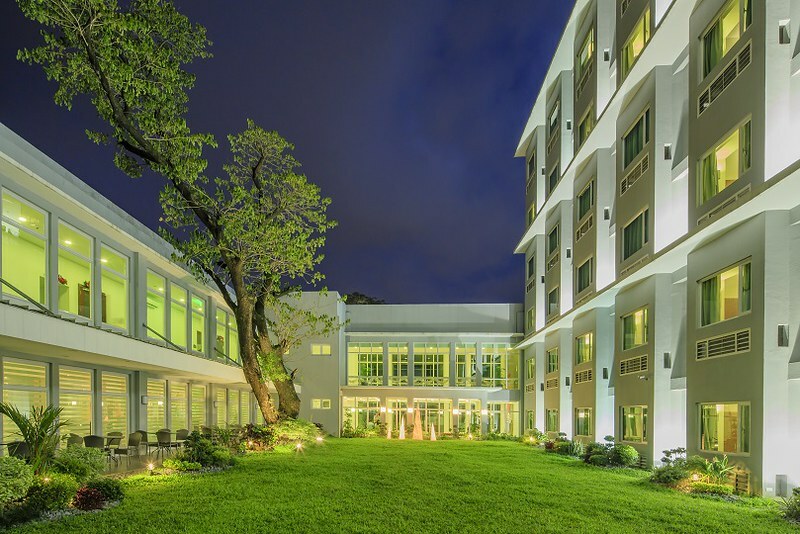 Microtel UP Technohub is not difficult to find as it is situated inside UP–Ayala Land TechnoHub along Commonwealth Avenue in Quezon City. Ewan ko na lang kung hindi niyo pa makita yan. One of the ups of staying here is that it is in a business area where dining, shopping, and other forms of entertainment are within reach. 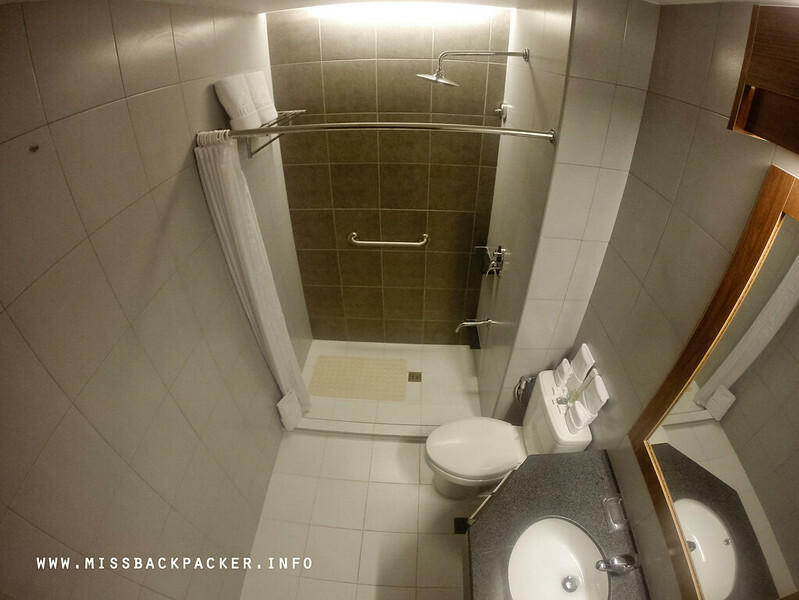 Whether you are a business traveler or just staycationing, Microtel UP Technohub is a great option.